“Thank you” Morinsola smiled at the guard who pulled the eatery`s door for her. She scanned the room and sighted the booth where Omolabake sat. Their eyes met. Labake smiled. Morinsola made her way over to the booth. After exchanging pleasantries, the woman left with her food packs. “Oh nice” Omolabake wasn’t much of a church person. “So how are you?” She abruptly switched the topic. “Eh! 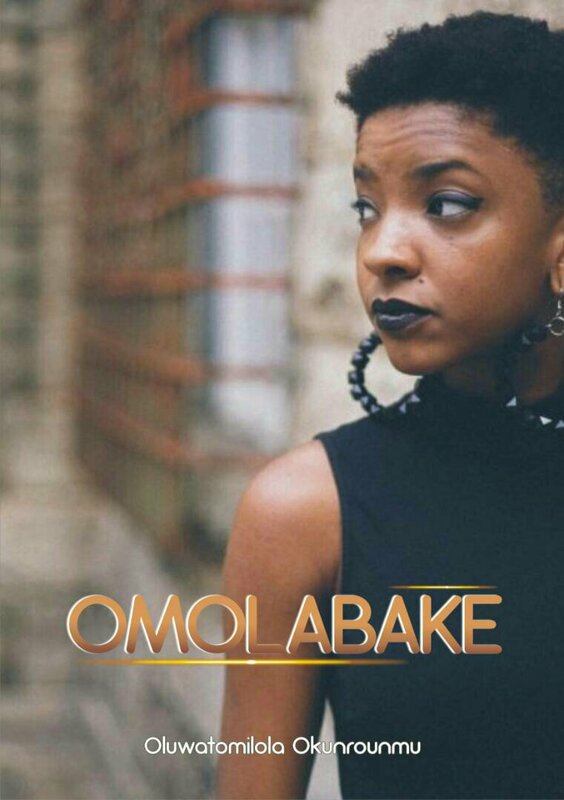 Omolabake, what did you do to him?” Morinsola exclaimed. “Right.” Labake squeezed her friend`s hand. “What, so did you approved the resignation?” Morinsola lightened the mood by returning to the topic. “Maami, how was your journey?” A middle aged woman in purple bubu held Granny-O hand as they walked into the mansion on Thursday morning. They had enjoyed an effusive embrace when upon their arrival about ten minutes ago. Gideon had noticed the striking resemblance between the two older women. Well save for Granny O`s silver curls. “And you must be?” The younger of the two women turned to him. “I`m Gideon, I`m her driver”. He offered his hand for a handshake. She took it. Granny O snorted and walked into the living room. “If you`d excuse me, I have to make my mom comfortable. Labake knows her way around. She will put you through”. With that Olubunmi, the older sister of Omolabake’s father left the reception area. “Once more you are welcome” She beamed him a smile. He picked his overnight bag and her suitcase. “Wow” He said, the picture was probably two decades old. She pointed at a picture of a little ballerina, “You?” he asked. She continued climbing. “This is you right?” He pointed at another picture. Giggling she said “No.” She touched the picture of a teenage girl with skipping rope. “That’s Adebomi my cousin, the bride.” They continued up the stairs. “I’d love to hear your tales” He smiled. “No, we don’t” he smiled and turned his hand in A suggestive manner of saying the way. They walked for a few minutes in silence when they arrived a room close to another balcony. The house was designed such that you could take in views from almost all angles “So this will be your room.” She opened the door and collected her travel bag from him. Her expectation to see him after the long day had been eroded when it was a drunk man that stepped into the house. This was had happened two nights in a row the past week. “Stop hitting me woman” He pushed her aside. “Lekan it is not so, it’s not like that.” she cried. She opened her mouth to talk. She choked on her words. “I`m sorry, I cant do this”. “Oh yeah, you cant? Why aren’t I surprised” Lekan taunted “Oh because I know this scene in the movie…” He stormed out of the room. 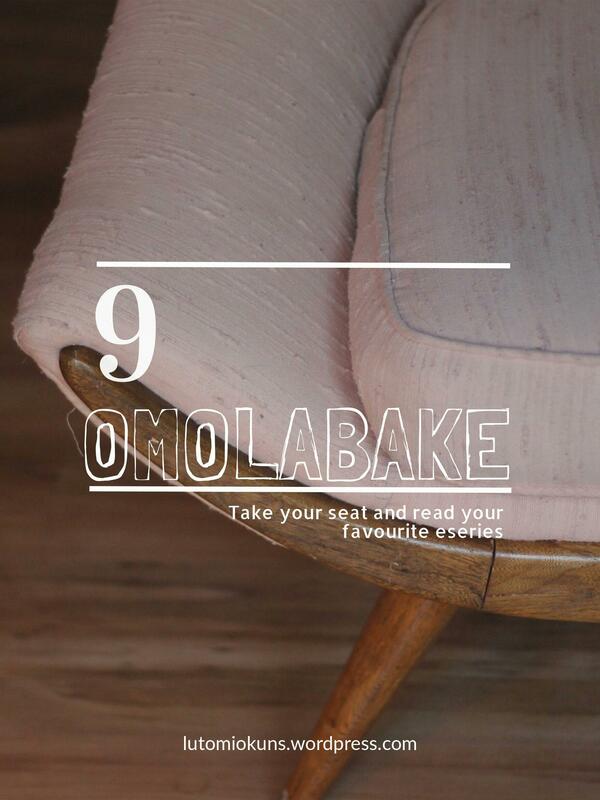 Gideon smiled when he finally saw Omolabake on Friday evening at the dinner. He sat at the back, watching Adebomi sing for beau. He hadn’t seen her since last night after the engagement ceremony. She was the dutiful maid of honor as he understood. Friday had gone in a blur, she sent him a text message explaining her absence due to finishing touches. He had spent the day in meditation and prayers, resting, blogged a little, replying comments and even checked in with Mike. By afternoon, he took a stroll and ran into Granny O. They talked for a while, he remembered how she he giggled when asked why she was called Granny O. “Wow”, She took his hand and literally dragged him to the dance floor. “So, there is a department you don’t do so well in. “What? Gosh! No!” Flustered she rushed the words. “No, I don’t” He conceded “And why were you so sure? “No” He looked her straight in eyes. His honesty amused him. “I thought you never talk” He laughed. They walked off the dance floor earning glances and sidetalks from the crowd. So friends, I have a good news for you all… Okay, let me spill it! We are moving! To a new address, starting from Friday 16th March, Omolabake and all of my other posts will be aired at www.lutomiokuns.com for the good Lord has provided! I will be waiting. In the mean time, you can visit the site for sneak peeks.